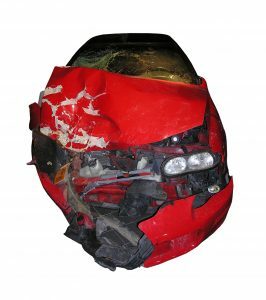 In Hairston v. Harward, the court ruled that the collateral source rule also applies to uninsured/underinsured motorist benefits that a victim of an accident might receive. In the case before the court, the plaintiff and defendant collided at an intersection. The defendant had an auto insurance policy that had a $100,000 liability limit. Additionally, the plaintiff had his own auto policy that also included $250,000 in uninsured/underinsured motorist coverage. The plaintiff sued the defendant for negligence. The plaintiff was awarded $263,000 in damages, which the judge reduced by $30,000. In addition to the proceeds from the lawsuit, the plaintiff received $145,000 through the uninsured/underinsured motorist policy. The defendant argued that the uninsured/underinsured motorist amount should be subtracted from the overall award. The trial court agreed, and the appeals court affirmed, but the Supreme Court reversed the decision. The main rationale behind the decision of the court was because of public policy. 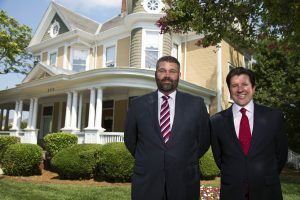 Supreme Court Justice Sam J. Ervin IV stated that “a decision that a plaintiff must credit the payment that he or she receives as a result of the decision to purchase coverage against the judgment entered against the defendant whose negligence caused the plaintiff’s injuries strikes us as likely to discourage North Carolina citizens from purchasing uninsured motorist coverage, a result that would have obvious deleterious consequences.” The court does not want to discourage drivers from obtaining additional insurance coverage because of the fear of not being able to receive compensation through a personal injury suit. While the court can not reduce the award amount because of the uninsured/underinsured motorist policy, insurance companies may still be able to be seek reimbursement for the amount paid to you. Through a process called subrogation, insurance companies can seek reimbursement for the amount paid out that they might now not be required to pay. In the case presented before the court, the plaintiff’s uninsured/underinsured motorist insurance company waived their right to subrogation and did not seek reimbursement from the plaintiff. If you have been injured and are considering a personal injury suit, contact the personal injury attorneys at Arnold & Smith, PLLC. We are here to help you seek the award that you are entitled to under the circumstances of your case. Recovering from an accident can be difficult, let us help you through the process of receiving the funds necessary to get you on the road to recovery. Contact us today. Now taking cases throughout the Charlotte region with offices in Uptown Charlotte, Mooresville and the new location under renovation in Monroe, call us at 704-370-2828 or click here for additional resources.